Glen Shellrude, Professor of New Testament at Alliance Theological Seminary (link, blog) offers us, what may be the longest titled article in Grace For All, “Calvinistic and Problematic Readings of the NT Texts, or Why I am not a Calvinist”. The essay is based on his 2010 talk at the Evangelical Theological Society. The content of that talk was later published in Journal for Baptist Theology and Ministry in 2011 (pdf), before appearing in this collection. Throughout the essay, Shellrude tackles numerous problems with Calvinism and its adherence to theological determinism. If I were to summarize the essay, it might look something like this cartoon of Calvin (the one with the tiger named Hobbes) staring disdainfully at his food. When Calvinists are presented with the full ramification of their views, they, like Calvin with his food, will find that it isn’t very appetizing. The more they poke around and examine it the more unsettling the view becomes. At some point they must decide to adopt another more historical and Scriptural view or let Calvinism (and the paradoxes it creates) consume them. During his exploration of the Calvinist view that God desires all to be saved, yet ordains that only some should be saved, he asks a memorable question that can be applied to most of the points he raises. why in his self-revelation would [God] say that he desires all be saved when he knows that he is going to ordain something completely different? [it means that] God has withheld the grace enabling obedience to the moral exhortations of Scripture because he wanted these sins to be committed. The choice to give into the temptation and the resulting “failure cannot be traced to the misuse of libertarian freedom”, because Calvinists do not believe that this type of freedom exists. In Calvinism, Shellrude suggests, all good actions are the result of the irresistible grace of God. This is the means by which all the good that God has determined should happen will happen. He then concludes that all evil actions must be the result of God withholding the necessary and irresistible grace that would have prevented it. And this is done so that the sin, which God has revealed that He abhors and can’t tolerate, will happen just as He ordained it will. Continuing to make the point, Shellrude notes that Calvinists like to say things like, God ordains all that is good but only “permits” evil. This, Shellrude explains, avoids the necessary and more distasteful implications that a theology of determinism requires. If theological determinism is true then “God intentionally chose to write a script with all the evil and carnage we observe”. how foolish and frail is the support of divine justice afforded by the suggestion that evils come to be, not by His will but by His permission … It is quite frivolous to say that God indirectly permits them, when Scripture shows Him not only willing, but the author of them. Exploring this same quote, David Mathis, writing for Desiring God, acknowledges that Calvinists today use permit when discussing evil. However, he is willing to note that Calvinists do not (or at least should not) intend to say the same thing that an Arminian would when using that term (link). we should not assume, as Arminians do, that divine permission is anything less than sovereign ordination. If God’s permission is efficacious, how does it differ from other exercises of his will? Evidently, the Reformed use permits mainly as a more delicate term than causes, and to indicate that God brings about sin with a kind of reluctance born of his holy hatred of evil. One has to wonder if “cause” is what most Calvinists mean when they use the word “permit” (for more on this see Leighton Flowers’ post). It doesn’t appear that MacArthur likes where his Reformed view of theological determinism takes him. If God has created us with a rational and moral discernment which to some extent mirrors his own, then the cluster of logical and moral absurdities inherent in the Calvinist system suggests that there is a problem with the theology itself. The appropriate response is not to celebrate the absurdity, or as is more commonly done, to appeal to mystery, but rather to rethink the theology in light of the totality of the Scriptural evidence. 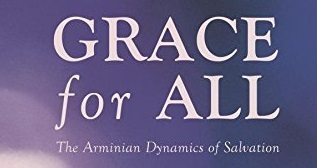 This entry was posted in Blogging Through a Book, Theology and tagged Arminianism, Calvinism, determinism, Grace, problem of evil by MikeB (@AnAgileJedi). Bookmark the permalink. Well, you know, the Arminian god is finite and subject to an evil that created itself and caught him off guard. What good is a god that cannot prevent evil in the first place? Would that be you exercising your free will to choose or just acting out the script that was predetermined for you?